How Did the Giant Panda Bear Get its Name and Where Does the Panda Come From? The Giant Panda, also known by its scientific name Ailuropoda melanoleuca, which means “cat-foot black-and-white”, is a bear that is native to the Western regions of China. The bear has characteristic black patches around its eyes, ears, and around its body and front limbs. Not many people can agree on the origin of the Panda’s name. Many believe, however, that the name panda came from the Nepali word “ponya”, which refers to the bear’s wrist bone. The panda name was first given to the Red Panda in the western world, which is not directly related to the Giant Panda. Only the giant panda is black and white. The only other panda, the red panda, also called the lesser panda, is reddish. 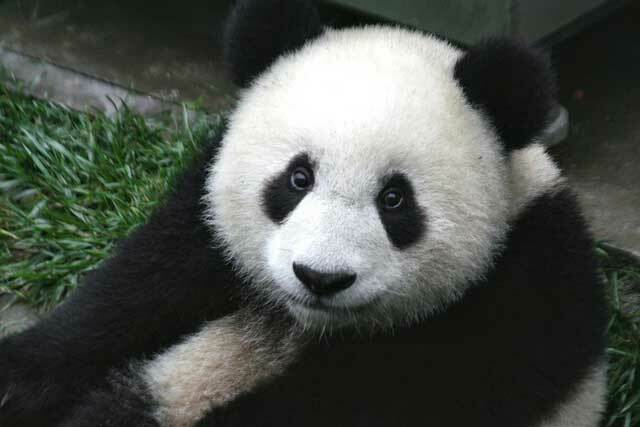 Although it lives in China and eats bamboo, scientists argue whether it’s a panda at all. It is small, cat-like, and more closely related, in both habit and DNA, to a raccoon than to the giant panda. How Long is the Giant Panda Bear’s Gestation Period and How Many Babies Does a Panda Give Birth To? What is Bear-Baiting, How Did it Originate, and What Kind of Bear Did They Use For Bear-Baiting? What Do Giant Panda Bears Eat and Are Pandas Carnivorous Meat Eaters?